After the success of last year’s Flags for Nepal campaign, which raised over £7,000 for Help Rural Nepal, Shambala Festival is now teaming up with an amazing charity, Temwa, to present Flags for Malawi to raise money to mitigate the affects of the terrible and worsening food crisis engulfing Malawi and much of Southern Africa…. We are asking you, the great people of Shambala, to sponsor strings of flags made from beautiful traditional Malawian material called Chitenge Cloth, for a minimum sum of £10. You can do this HERE on the dedicated crowdfunder page. We will then use them to adorn the Shambala Stage creating a striking and beautiful symbol of our support, hopes and prayers for the people of Malawi. All of your sponsorship money will go directly to a great charity, Temwa. 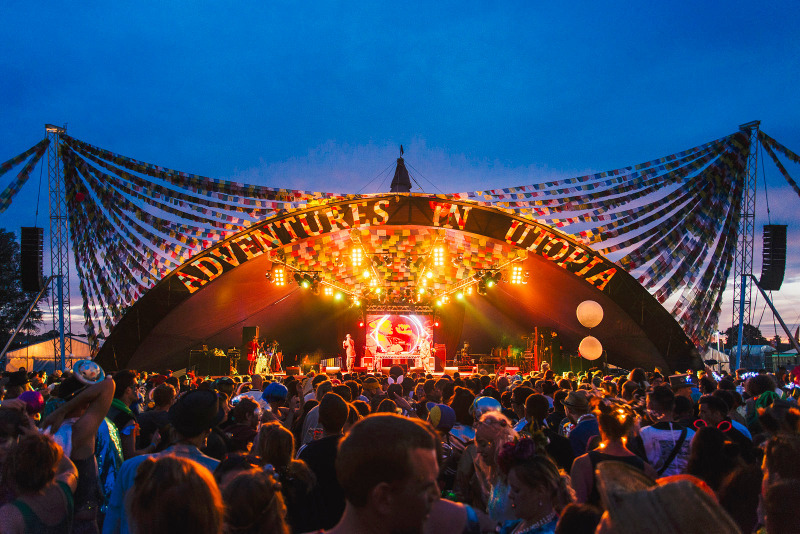 Shambala Festival will cover all the costs of buying, transporting and flying the flags and will also donate an additional £2,000 to the campaign. Much of Southern Africa is gripped by a terrible and worsening food crisis. It has recently been reported by the UN that over 30 million people are already relying on food aid alone, and this figure is expected to grow by a further 20 million by the end of this year. From South Africa to the Congo, Mozambique to Angola, the entire region is in a state of emergency- a fact largely, and shamefully, ignored by the vast majority of the international media. Malawi, a small country, land locked in the very middle of this region, is the poorest country in the world and is considered the worst affected by this crisis. After successive years of drought crop yields have plummeted, food reserves have disappeared and the rains have failed again. Child malnutrition is already reaching epidemic levels and the cost of food staples is spiralling. In April, after months of burying heads in the sand, the government finally declared a National State of Disaster. It is expected that 8 million people, or half the population, will be totally dependent on food aid by the time Shambala takes place in August. Fears are rapidly growing across the international aid communities that nowhere near the amount of money and resources are being pledged, let alone received, to avert a truly horrifying disaster. Help is urgently required to mitigate the immediate effects of this crisis and to build and develop resilience to avert future disasters. Temwa is an incredible charity that was established in 2003. It currently serves 55,000 people across 145 villages in a remote area in Northern Malawi. It implements initiatives across the fields of health, education, agriculture and environment all with an aim of developing self-sufficient communities and, as any charity should, is driven by an aim to render itself obsolete. Temwa has been shouting about the food crisis for months and, in March and April, implemented an emergency food distribution intervention. They are also developing mitigation strategies to support their communities against the ever more frequent droughts and floods that undermine the food security of the community. All money raised through Flags for Malawi will go directly to Temwa and will help provide immediate emergency food aid and also be used to help implement mitigation strategies to limit the effects of continuing drought and crop failure over the course of the next year. We cannot stand idly by while this happens. Supporting Flags For Malawi will directly save lives. Please dig deep Shambala – together we can have a huge impact! Donate HERE. You do not need to be coming to Shambala Festival to contribute to this campaign! Temwa is a Registered Charity in the UK.